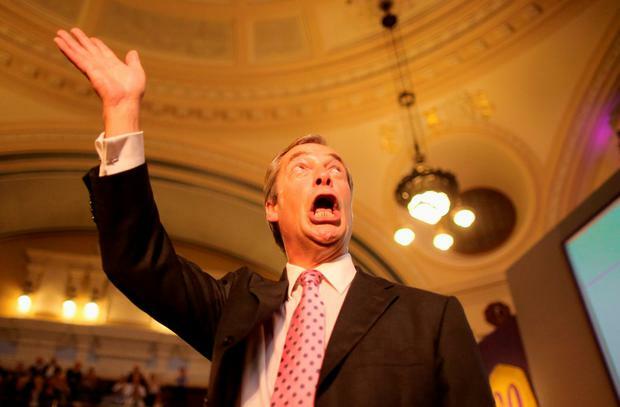 Former Ukip leader Nigel Farage is reported to be considering a return to frontline politics as a new pro-Brexit party is being put together. The MEP for the South East was approached last week by former activists for Ukip who have applied to register the Brexit Party with the Electoral Commission. The 54-year-old who led Ukip to a win in the vote at the 2014 European elections – but has failed to win a Westminster seat in seven attempts – said he would not “stand by and do nothing” if Brexit was not delivered on March 29. Mr Farage left the party in December, saying he was uncomfortable with the direction Ukip has taken in recent months and having previously called for Ukip leader Gerard Batten to be ousted after he appointed English Defence League (EDL) founder Tommy Robinson as an adviser. The Sun on Sunday reported former Ukip economics spokeswoman Catherine Blaiklock applied to register the new party last week and she sounded out Mr Farage for a role in the organisation. He told the paper: “This was Catherine’s idea entirely – but she has done this with my full knowledge and my full support. “If the Government goes back on its word and betrays the millions of people who voted for Brexit then we need a party prepared to stand up and fight for it. He added that there would be a “huge public backlash” should Prime Minister Theresa May look to extend Brexit beyond March and that people would “flock” to a “real pro-Brexit party”.